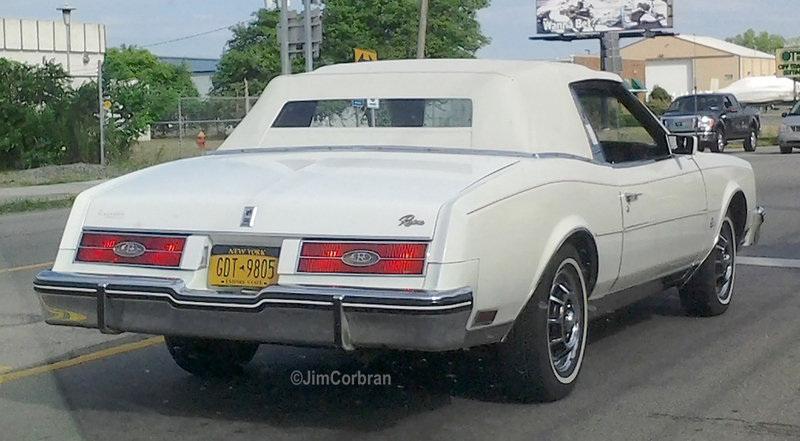 Yes, this is a factory-built Buick Riviera convertible, c. 1984, seen a couple of summers ago in North Tonawanda. Back in the 1980s there was more than one company out there making after-market convertibles out of factory two-door coupes, seeing that most of Detroit stopped making drop-tops in the mid-1970s after the tightening of auto safety regulations. Eventually, technology caught up enough for the manufacturers to begin regular convertible production a reality again. The Riv drop-tops were sold from 1982-85.